Over 2000 years ago Hippocrates declared, “all disease begins in the gut.” Poor digestion and leaky gut can lead to a wide-array of health issues including: thyroid disease, anxiety and depression, weight gain, arthritis, migraines, asthma, diabetes, irritable bowel syndrome, kidney disease, psoriasis, chronic fatigue syndrome, and in severe cases, even heart failure. According to the American Thyroid Association, over 20 million Americans are affected by thyroid disease. More specifically, one in eight women will develop a thyroid disorder during her lifetime. “Leaky Gut Syndrome” is also referred to as intestinal permeability. There are several components that can contribute to leaky gut syndrome including: diet, chronic stress, inflammation, certain medications, yeast, and vitamin deficiencies. The leaky gut process occurs when the intestinal lining is damaged, making it unable to protect its internal environment or filter needed nutrients and other biological substances. As a result, bacteria, toxins, undigested protein molecules, and other waste may “leak” out of the intestines into the blood stream. This leak produces an autoimmune reaction within the body as tissues located in the gut store around 70% of the body’s immune cells that attack and produce antibodies against foreign substances such as bacteria or viruses. In simpler terms, since these molecules don’t belong outside the gut the body wages war on itself. During an autoimmune process, the thyroid can often be attacked, as the body gets overwhelmed and turns against its own tissues and organs. 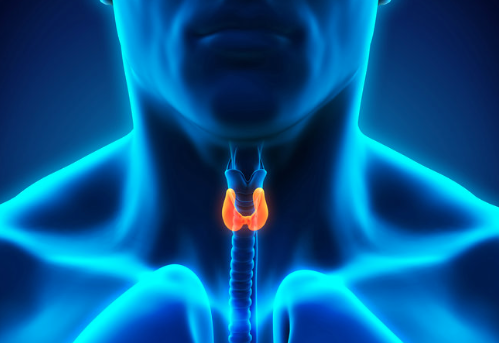 Hypothyroidism is the most common thyroid disorder, in which not enough thyroxine is produced for the body’s needs. The symptoms include: fatigue, weight gain, depression, inability to focus, and coldness in limbs. Hyperthyroidism, on the other hand, is when the gland overproduces thyroxine and the body cannot handle the hormone overload. In this instance, a person may experience weight loss, anxiety, heat intolerance, and eye problems. Hashimoto’s disease, also known as “chronic lymphocytic thyroiditis” or “autoimmune thyroiditis”, is an autoimmune disease in which the immune system attacks and inflames the thyroid. This is considered one of the most common autoimmune diseases in the world, and it causes over 90% of hyperthyroidism cases. Individuals with this disease can often experience numerous symptoms. The inflammation can cause leaks in the thyroid, which results in excess thyroid hormones (hyperthyroidism). Over time, the inflammation can prevent the thyroid from producing enough hormones (hypothyroidism). Another thyroid-related autoimmune condition is called Graves’ disease, which causes the thyroid to become overactive (hyperthyroidism). As this disease progresses, antibodies attack the thyroid and “switch it on” allowing the gland to produce too many hormones. Graves’ disease is typically seen in women under the age of 40. Symptoms can include anxiety, hand tremors, heat sensitivity, weight loss, puffy eyes, and swelling in the thyroid. An experienced endocrinologist can perform various blood tests and analyze your symptoms to confirm a diagnosis of which thyroid condition you are suffering from. It is important to note that not all thyroid issues are caused by leaky gut syndrome; some can be a consequence of excess estrogen, or even infections such as the Ebstein-Barr Virus (EBV). However, if leaky gut is the suspected cause of your thyroid issues, there are several steps you can take to try to get on a healing path. Many individuals find relief by practicing gut-healthy habits such as refraining from or significantly cutting back on stomach irritants including alcohol, caffeine, and over-the-counter NSAIDs (Ibuprofen, Advil, Aleve, etc.). You can also try to reduce your stress and adequately treat any underlying infections or viruses with the guidance of an experienced medical professional. Above all, one of the most important steps you can take to begin to heal your thyroid and immune system is to investigate your diet. You can perform a thorough diet history to identify potential food sensitivities and intolerances that are causing inflammation in your GI tract. To aid in this sometimes complex process, there are now extremely accurate DNA tests available which can identify an individual’s sensitivities and intolerances to hundreds of foods and drinks. Interestingly enough, just because a food is considered healthy, doesn’t mean its good for YOU. Through DNA Food Sensitivity Testing, thousands of men and women have been able to reclaim their health by uncovering hidden food intolerances. 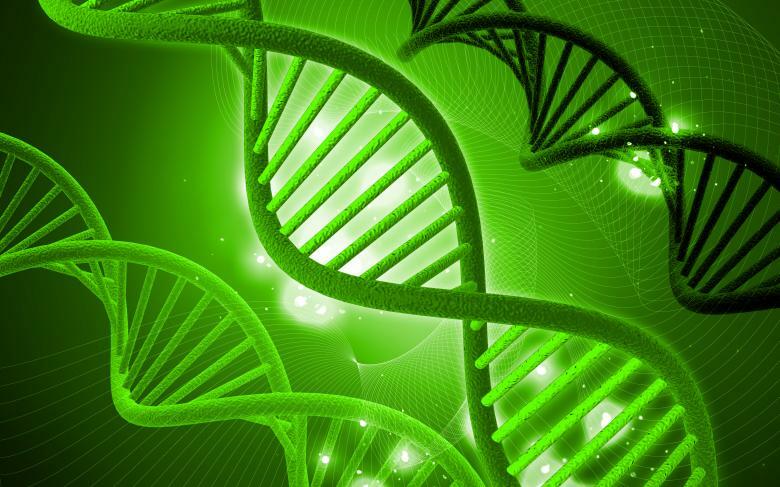 Advanced Healthcare offers one of the most innovate DNA Food Sensitivity Tests in the world. This comprehensive test utilizes science to determine which foods are good and bad for your genes, which can in turn, directly affect your gut health. While there are several at-home DNA testing kits offered across the country, none compare to the cutting-edge technology and high success rate behind Advanced Healthcare’s program, which is conducted in a state-of-the-art laboratory overseas in Italy. With this type of test, there is no need to travel to a hospital or lab to provide a sample, as the entire DNA test and nutritional program can be completed in the comfort of your own home via the phone and internet. By matching your personal DNA sample to 600 foods and drinks, the professionals at Advanced Healthcare are then able to develop a customized nutritional plan to heal you from the inside out. Several people learned that by feeding their body nourishing foods they were able to tone down inflammation and allow their gut to heal. To learn more about how you can start to heal your gut, thyroid or autoimmune disease through DNA Food Testing call 630-260-1300 or visit http://www.dnafoodsensitivity.net to schedule a complimentary consultation. This content is not intended to be a substitute for professional medical advice, diagnosis, or treatment. Always seek the advice of your physician or other qualified health provider with any questions you may have regarding a medical condition. Never disregard professional medical advice or delay in seeking it because of something you have read on this blog post or website.